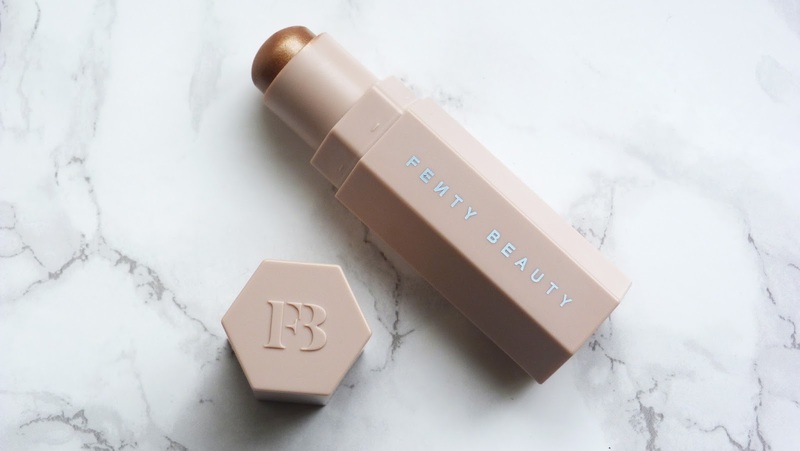 MimiBella.co.uk: FENTY BEAUTY is finally here! 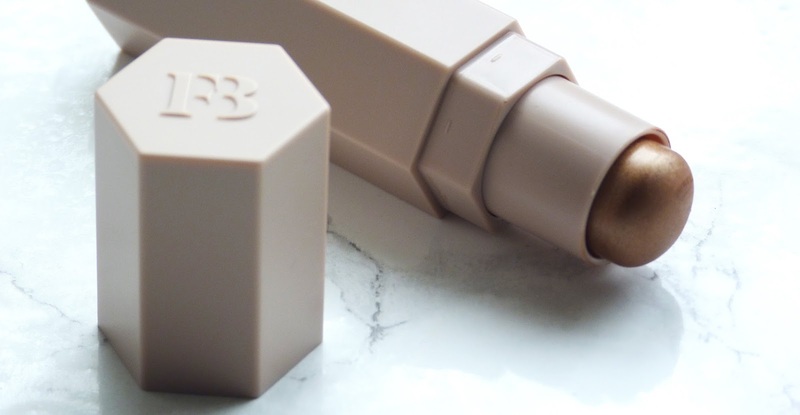 The most anticipated beauty collection of the year has finally dropped! After waiting months and months for a release date, last Friday I headed down to Harvey Nichols in Knightsbridge to check out the collection and swatch all the products. It took a lot of a discipline and self control to not obliterate my bank account and leave with the entire collection. 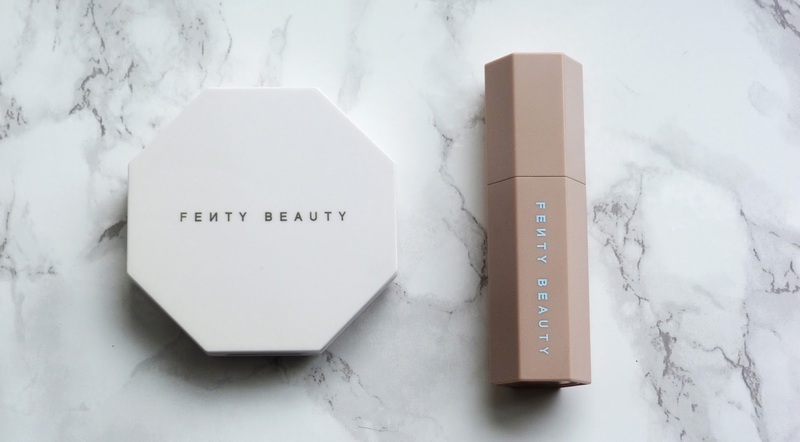 The Fenty beauty collection ensured there was something suitable for everyone regardless of what complexion and undertone your skin is; I was really tempted to get the foundation but it was so busy that I decided to come back for it another day. In the end I bought two highlighters: the Killerwatt powder duo and the MatchStix. 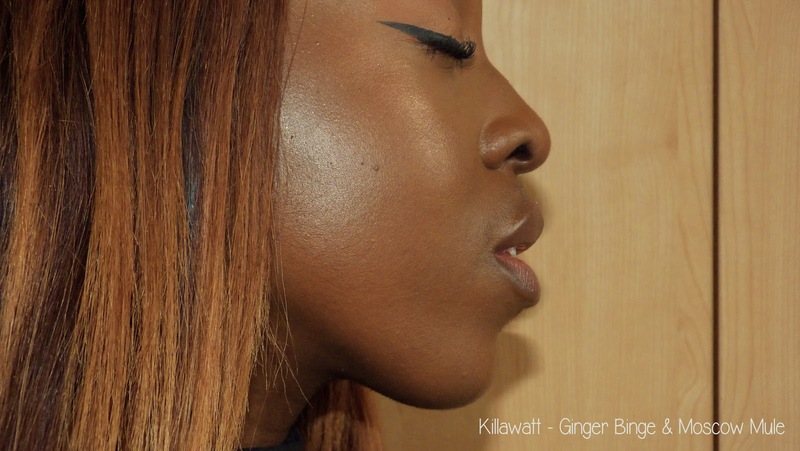 I purchased the Killerwatt highlighter in the shade Ginger Binge & Moscow Mule, this is the 'darkest' highlight that the collection offered. 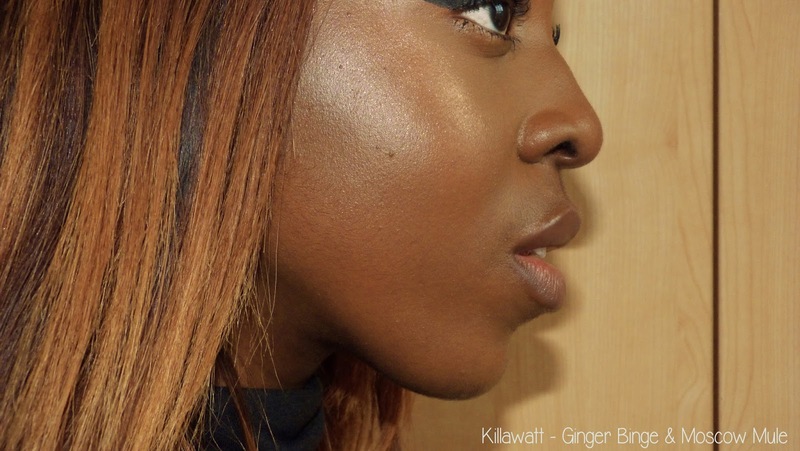 It's a stunning rosegold highlighter which looks perfect on women of colour like myself, something different from the usual gold and bronze highlighters. 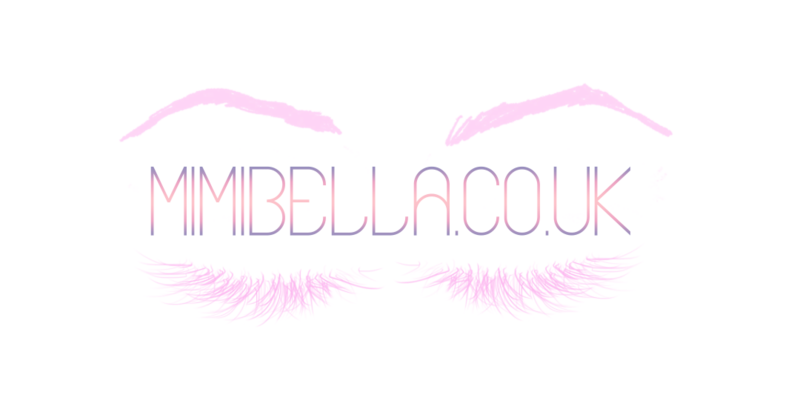 This is definitely a multi use product which can double up as an eyeshadow, I have used it in my inner tear duct everyday since I bought it and have received tons of compliments on my make-up. 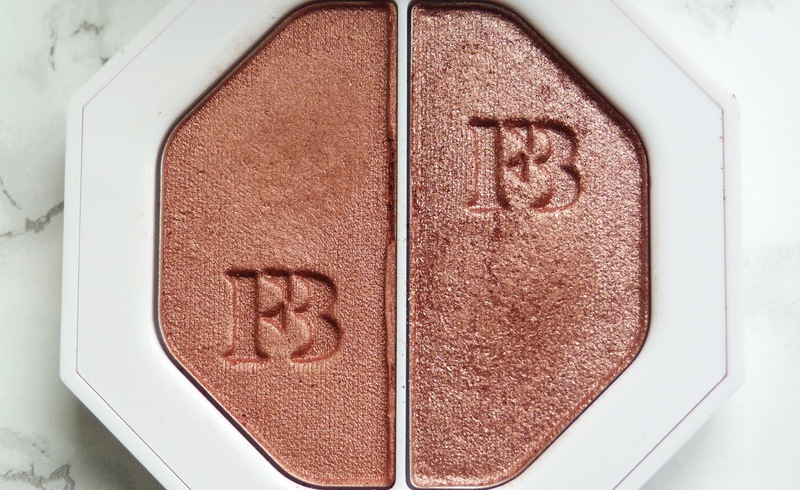 This retails for £26 which is reasonable as you get two unique highlighters which you can use alone or layer up for a more dramatic effect, and triple up as stunning eyeshadows. As soon as I swatched the Match Stix shimmer skin stick in the shade Rum, I KNEW it was coming home with me! 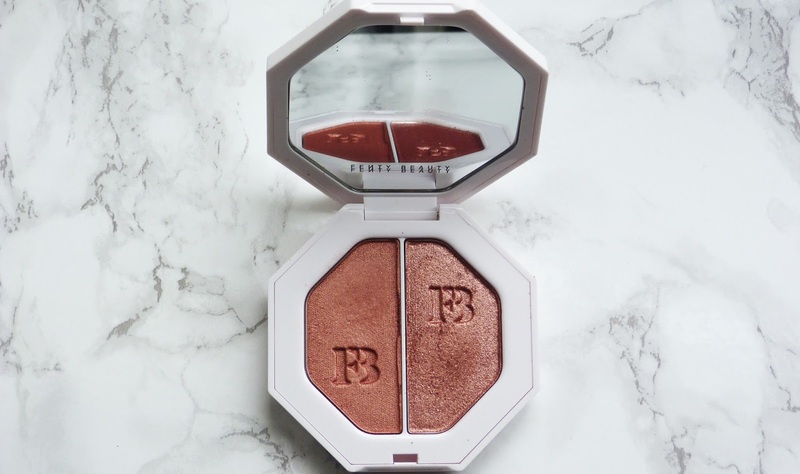 It's a gorgeous sunkissed gold shade guaranteed to look amazing on all complexions, as a highlighter or bronzer. 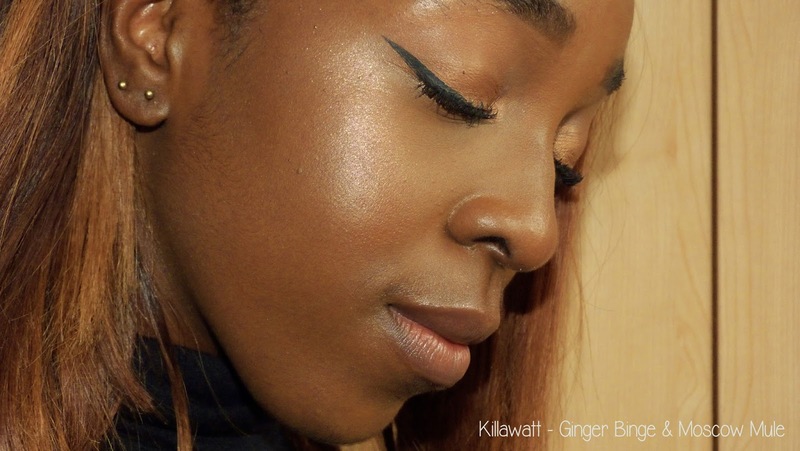 Just like the Killawatt highlighter you can double this up as an eyeshadow, a base for your eyeshadow or even put some on top of your lipstick or underneath your favourite lipgloss. 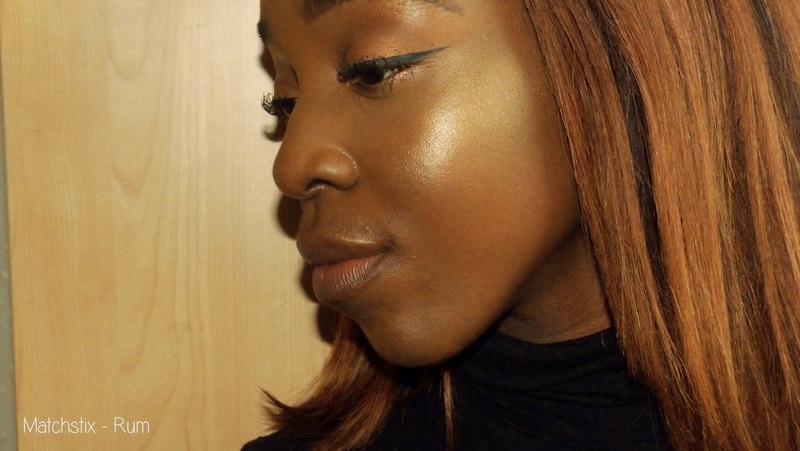 If you are someone who loves a natural glow, and a dewy look this is the perfect highlight and formula for you, its very pigmented and super easy to blend and most important of all, it is not greasy so it's safe for oily girls like me! The Match Stix retails for £21 which is not extortionate and very much in line with the likes of ABH and MAC. 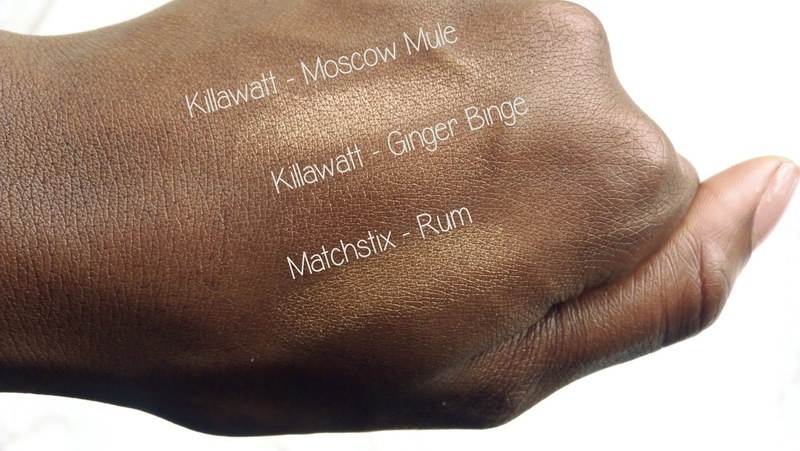 You can purchase the Match Stix in RUM here. 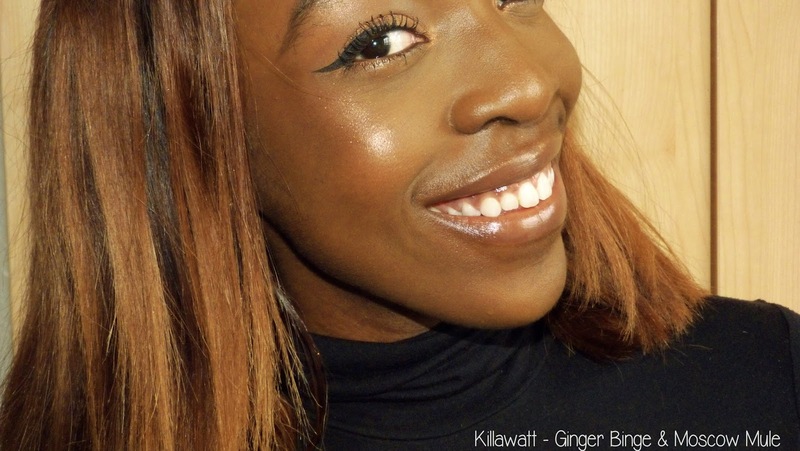 You can purchase the Killawatt highlighter in GINGER BINGE & MOSCOW MULE here. Have you bought anything from the collection? What do you think?